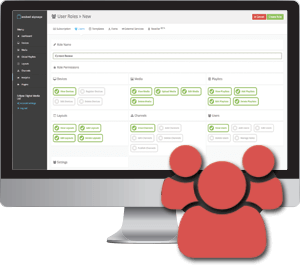 Add an unlimited number of users and assign specific user permissions to allow for departmental, multi-user network management. Provide each user with their own unique authentication details and visualise every upload, playlist creation, layout build and channel creation with an automatic user attribute for accountability. Create user roles, assign user permissions and create user groups to make management of your digital signage a team effort. Create your own user roles for example “designer” who can only upload media, “marketing” to access playlists and layouts and “manager” to create channels and publish content, the choice is yours! Give each user unique log in details and when that user logs in, they will only see the areas they have been given permission to access. Add your own folders to help manage all your account users. 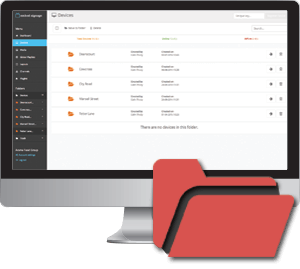 Move specific users into folders and navigate quickly through those folders to help with account management. Perfect feature for managing multiple users of digital signage network roles and users from various locations. 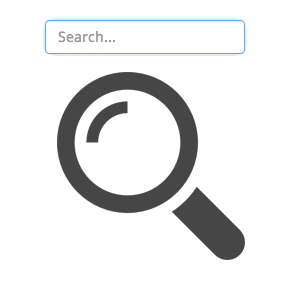 Instantly find specific users are looking for by using the instant search function at the top of the users page. Type your search query and watch as the results instantly filter to match your search term.